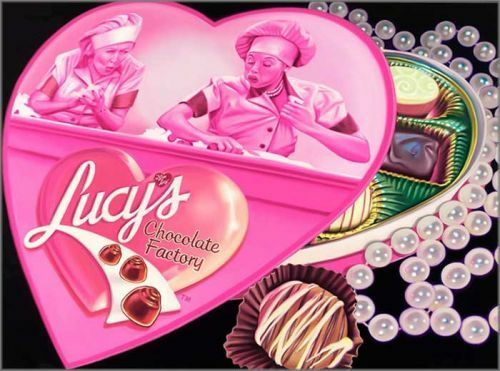 Doug Bloodworth limited edition giclée on canvas:"I Love Lucy"
About the Art:You are probably a Lucy fanatic, and who isn't? I mean, who else has over 2,000,000 friends on Facebook? If you cannot name the four actors who starred in I Love Lucy, there is no point of you reading on. You might as well move on to a different painting. (Hint:Lucille Ball, Desi Arnaz, Vivian Vance, William Frawley).